The Ward Hill Church Choir and Children’s Choir would like to thank Rick Barry of the Haverhill Exchange Club and Father Bob Conole of Sacred Hearts Parish for hosting the 3rd Annual Sing Out Against Child Abuse. 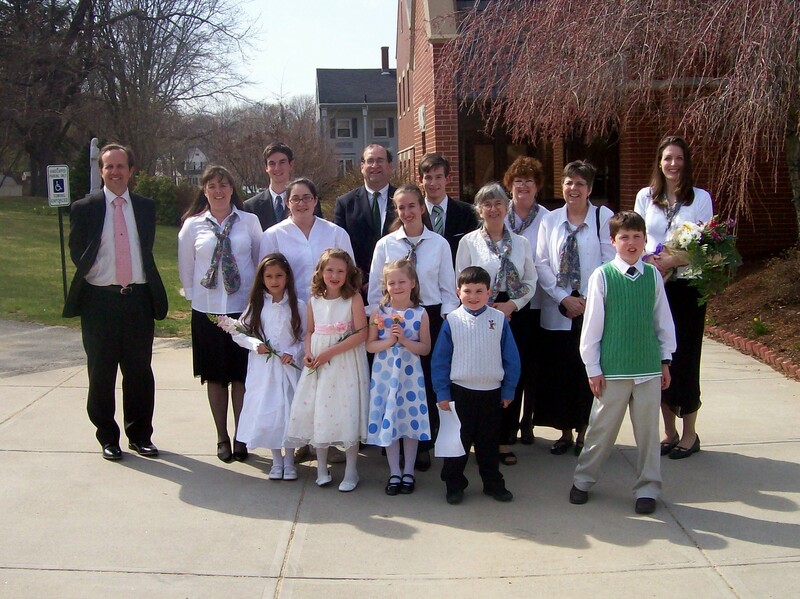 The adults sang Hal Hopson’s rendition of a Caribbean folk song called Halle, Halle, Halle and Tschesnokoff’s Salvation Is Created from the Russian Liturgy. 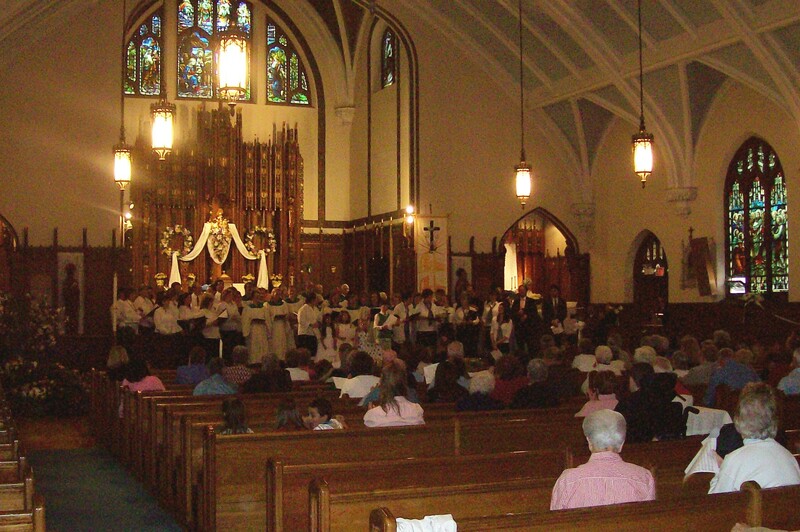 The children sang the traditional Dona Nobis Pacem and Natalie Sleeth’s Hallelujah! Now Be Joyful. Erin Burgess directed the choirs and Anne Smith accompanied on organ and piano. Would you believe that each WHC-CTK choir won $500?! And for that we must thank Farmer & Sons Funeral Home for sponsoring the prize money. 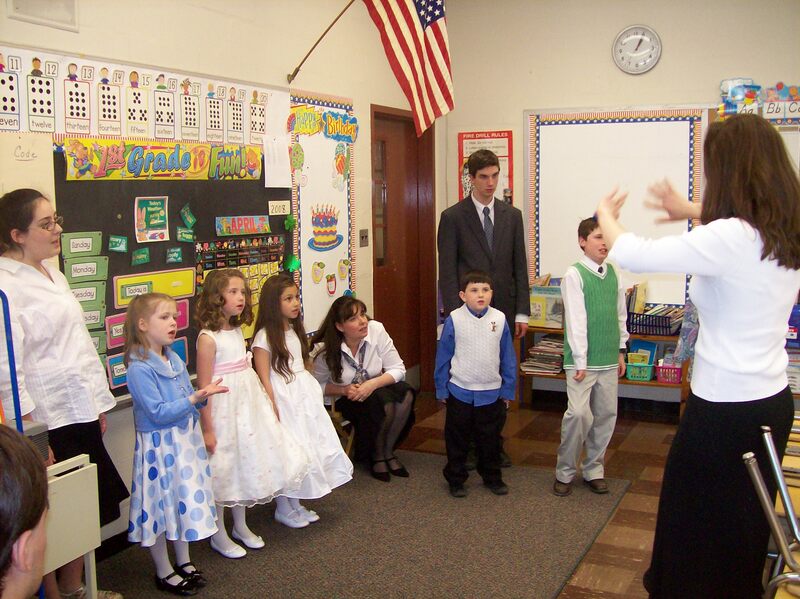 Here are the children rehearsing in a classroom at the Sacred Hearts School. Here we are outside Sacred Hearts Church. The joint choirs singing Let There Be Peace on Earth. Thanks to all who came and supported this great annual event. Let’s hope the Haverhill Exchange Club does it again next year!